If you do have access to the HTML of your website (or to your content management system), you can complete the steps below yourself. If you do not have access to your website’s HTML, email this article to your web developer or IT department. 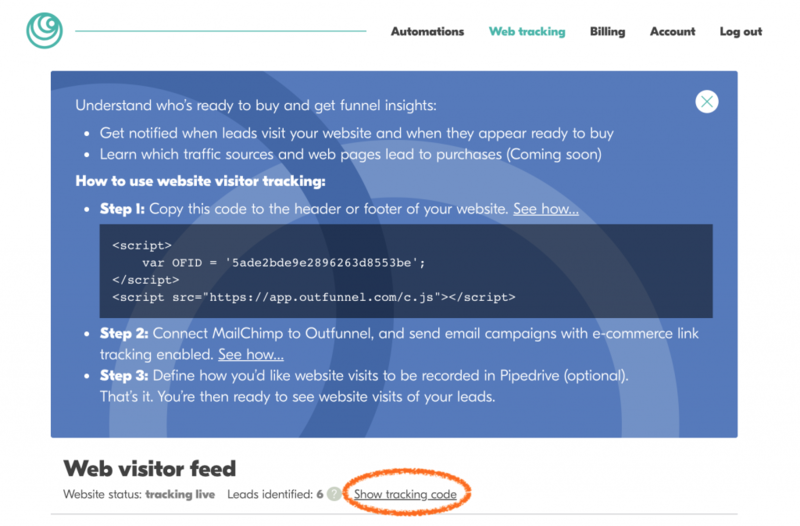 Navigate to Web tracking page in Outfunnel and find the tracking code displayed in the dark blue box. You may need to click “Show tracking code” if it’s not immediately visible. Please note: the tracking code is different for every Outfunnel account. Paste it into the header section of your website between <header> and </header> tags – this way it gets added to each page which features the header. Paste it into the footer section of your website between <footer> and </footer> tags – this way it gets added to each page which features the footer. Because every website or content management system is structured differently, we can’t provide you with exact instructions on how to add tracking code. If you’re not sure how to access the HTML code of your site, email this document to your webmaster, IT department, or technical resource. 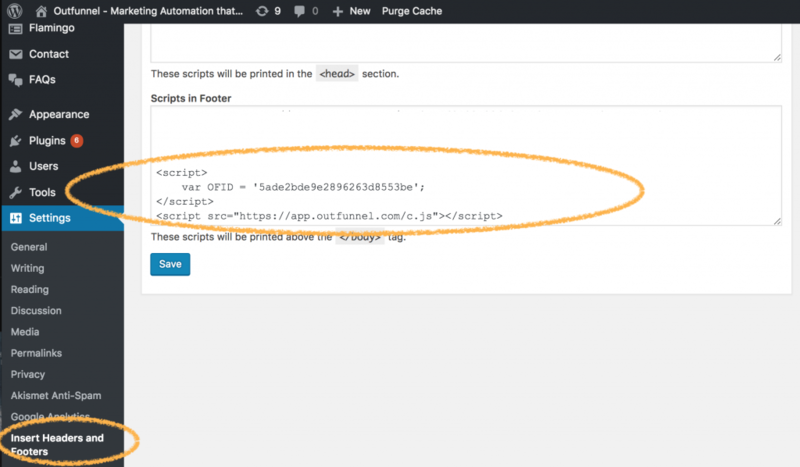 If you’re a WordPress user, there’s a simple way to add the Outfunnel tracking code. First install the Insert Headers and Footers plugin, it’s free to use. Then, activate the plugin, so it becomes visible in the Settings area. Next, click on “Insert Headers and Footers” link in the Settings area, paste the Outfunnel tracking code into the “Scripts in Footer” box and click “Save”. Outfunnel will display: tracking live once you’ve successfully added the tracking code.